If your slide-deck design skills are anything along the lines of basic, fair, or middling, check out Slidevana. I'm guessing the name derives from "nirvana," which is what the developers are hoping you'll feel once you get a look at the product. Slidevana offers some 150 templates and themes for use with PowerPoint or Keynote, and they're all gorgeous. The collection includes templates of all kinds: lists, comparisons, tables, maps, timelines, and a wide range of diagrams (everything from pyramid to funnel to quadrant). The idea, of course, is to choose what you need, then plug in whatever data you have. What's interesting about Slidevana is that all the templates adhere to one of two basic motifs: light or dark. While that's great for generating unified-looking, thematic presentations, it does leave one wanting a bit more variety. Why not apply all these same graphics and layouts to, say, a red or blue theme? At least the light and dark ones blend well together, so you can mix them into the same set of slides for some contrast (both figurative and literal). Because there are so many slides here, you'll want to open Slidevana's collection in one PowerPoint window, then drag whatever slides you want into your active presentation. That's the easiest way to work with them. The only potential downside here is price: Slidevana feels a little steep at $99 for the PowerPoint collection. (Slidevana for Keynote costs the same). 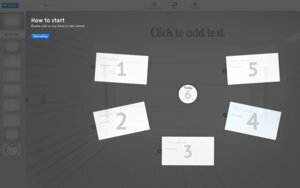 There are plenty of other PowerPoint templates you can buy for less, and of course if you've got the time and skills, you can generate your own graphics without spending a penny. That said, if you want your presentations to look attractive and professional in a hurry, 99 bucks is a small price to pay. Update (4/16/13): A Slidevana rep informed me that the templates are now priced at $79. And while we're on the subject, you might want to learn how to create gorgeous presentations with Prezi.